At the start of the summer holidays Roo and I held our first Craft Twitter Party with UKMums.tv and Interplay. With all the fun of the party and subsequent summer holidays I have totally forgotten to tell you all how we got on. Before the party we were asked to choose which two sets we would like to use during our party. As we were having several of Roo’s school friends over we decided that the Fairy Princess and Treasure Box sets would provide them with the most fun. Multitasking between controlling looking after a bunch of excited girls and tweeting takes some concentration but it was all worth it as both they and I had fun. 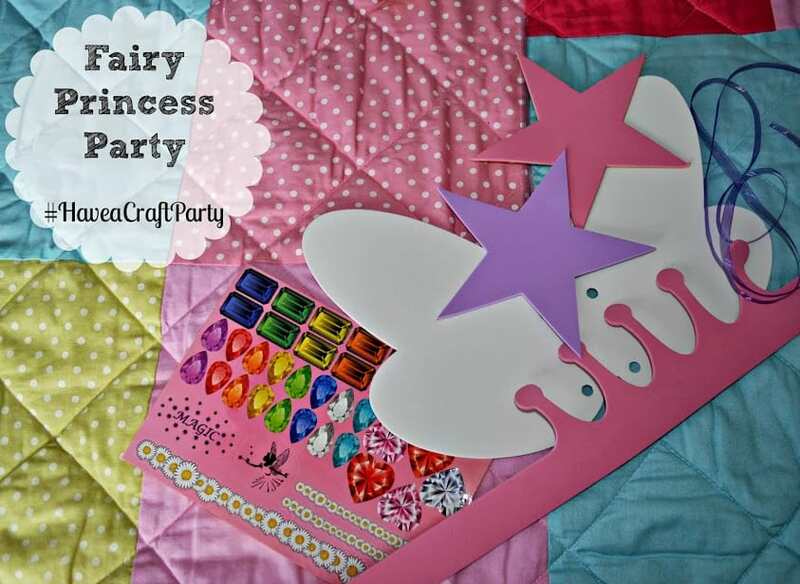 First up was the Fairy Princess Party box, each child gets to make their own wand, fairy wings and tiara. What is great is that they each get their own sticker sheet too so they don’t argue someone is using more stickers than another. The girls actually decided to trade stickers with each other which was great to see. After the crafting fun of the first box I decided it was best to give them some dinner and opted for a picnic so they could choose what foods they wanted and left me to concentrate on Twitter whilst they were munching away. 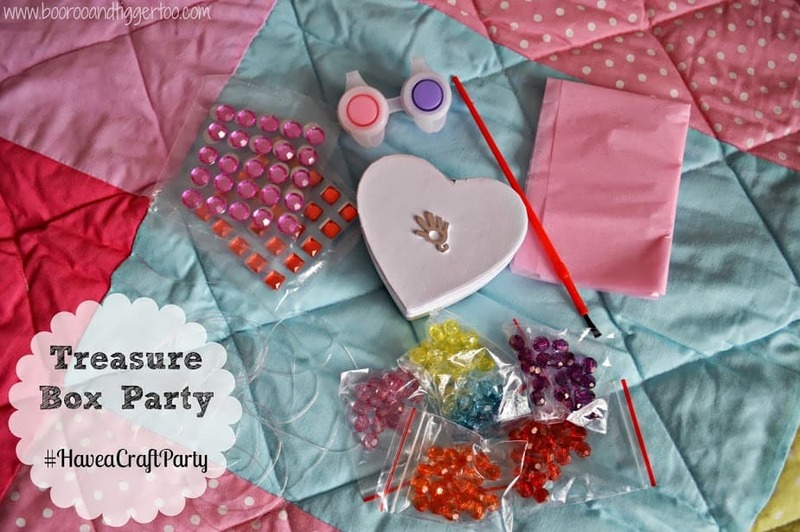 With belly’s full time for another crafting treat… Treasure Box Party, each child gets a plain heart shaped treasure box, charm, cord and beads to make a bracelet. With pink and purple paint pots to share between two it is then up to the child how they choose to decorate, with the addition on stick on gems also available. So whilst the girls were finishing off their treasure boxes and bracelets I decided to surprise them with some cupcakes, what’s a party without cake? With the two hours passing in a blur tiaras, stickers, paint and bracelets it was soon time for the girls to take their creations home and show their parents what they had made. 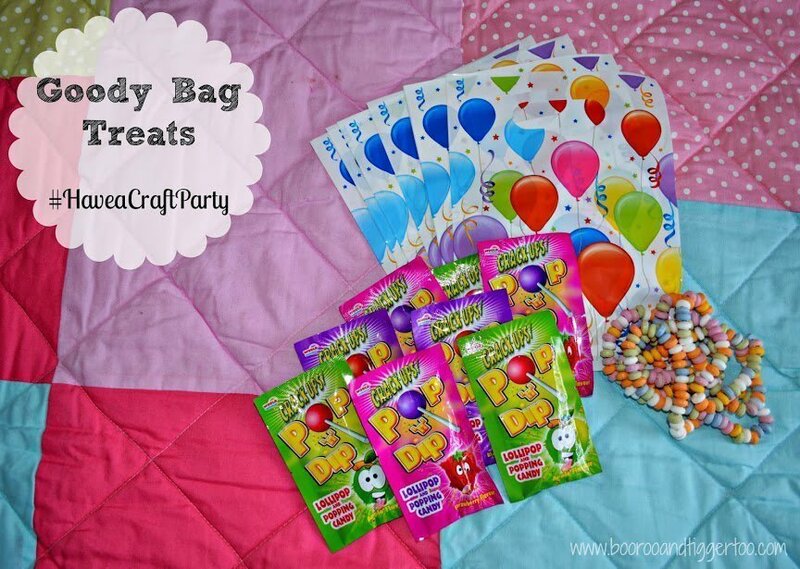 Although they had their craft pieces to take home I had one last surprise for them a goody bag with a few yummy treats inside. 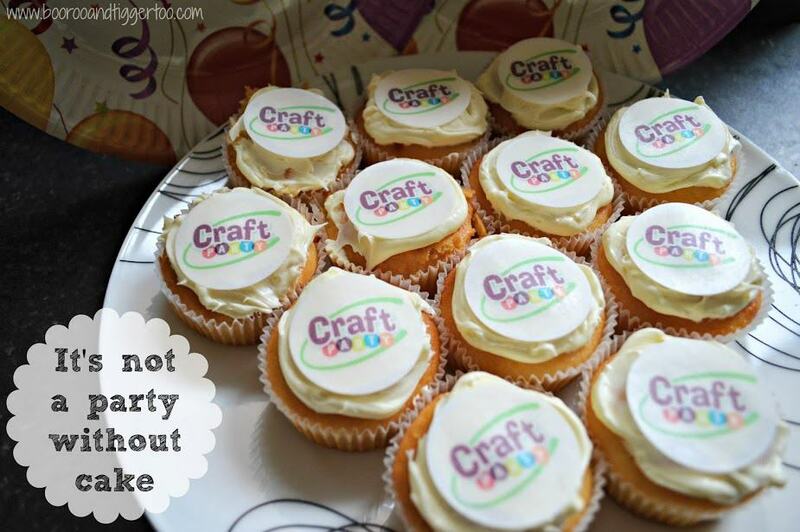 All in all it was a busy but fun two hours, I have received lots of comments from the mums of those who attended about the craft party boxes. Each party box has enought supplies for six children and with prices starting at £19.99 per box it means it much more cost effective than most parties, plus they get to take what they have made home.